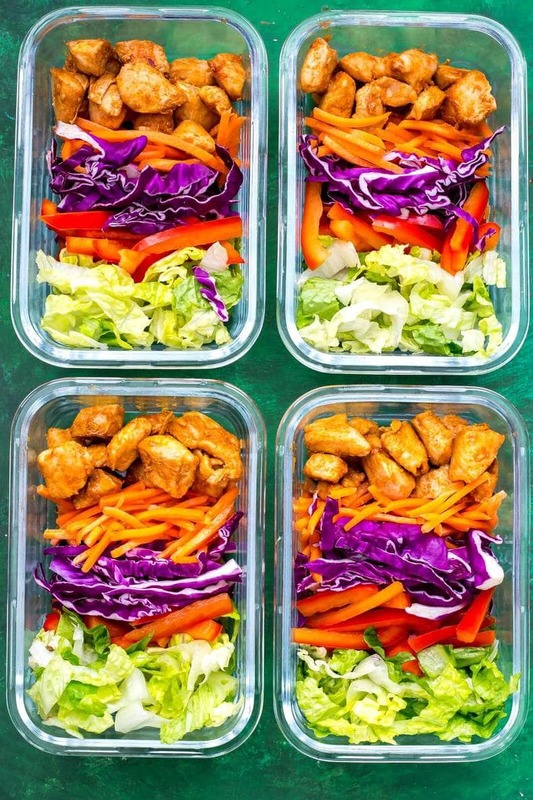 These Peanut Chicken Meal Prep Bowls come together with sautéed chicken, a rainbow of veggies and a delicious peanut sauce for a healthy make ahead, low carb lunch idea! The life of a food blogger right?! The biggest struggle of my day was naming these new meal prep bowls lol. But honestly though, what else can I even say about these except that they are DELICIOUS, HEALTHY and ready in…wait for it…under 30 MINUTES?! 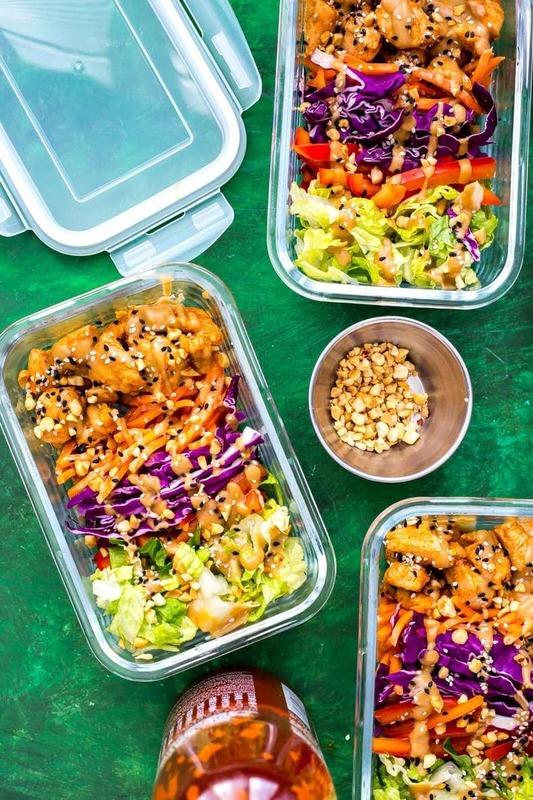 Now, there are some things you should note about these Peanut Chicken Meal Prep Bowls. The first of which being that you may want to bag the lettuce separately because if it sits in the bowls for too many days it goes soggy. 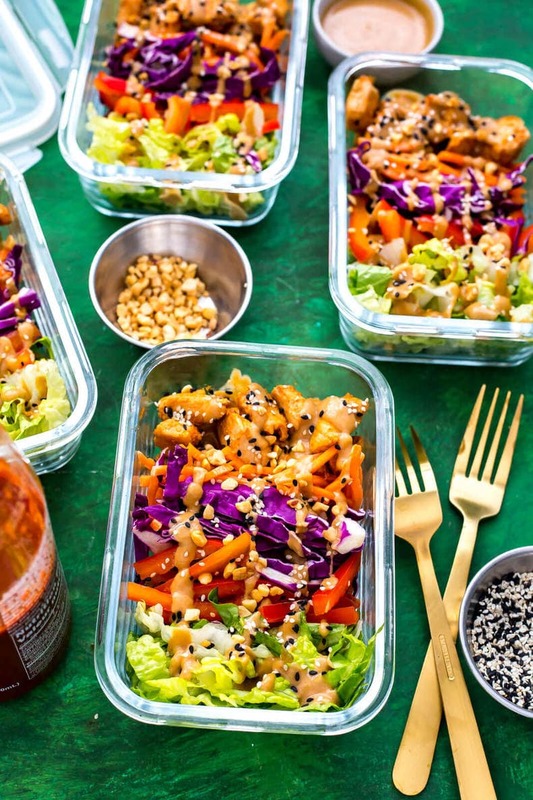 I also pack the peanut dressing separately to ensure that all the veggies stay fresh and then I drizzle the peanut sauce overtop when ready to serve. I also typically eat these Peanut Chicken Meal Prep Bowls cold but you could always reheat the chicken separately if you'd like, although there's enough flavour there that I don't think you need the chicken heated up! Also, can we talk for a minute about how amazing this peanut sauce really is? I just want to put it on EVERYTHING! I made this sauce once earlier this year for a meal prep post for my Instagram and the sauce was so addictive I knew I had to use it in another recipe. 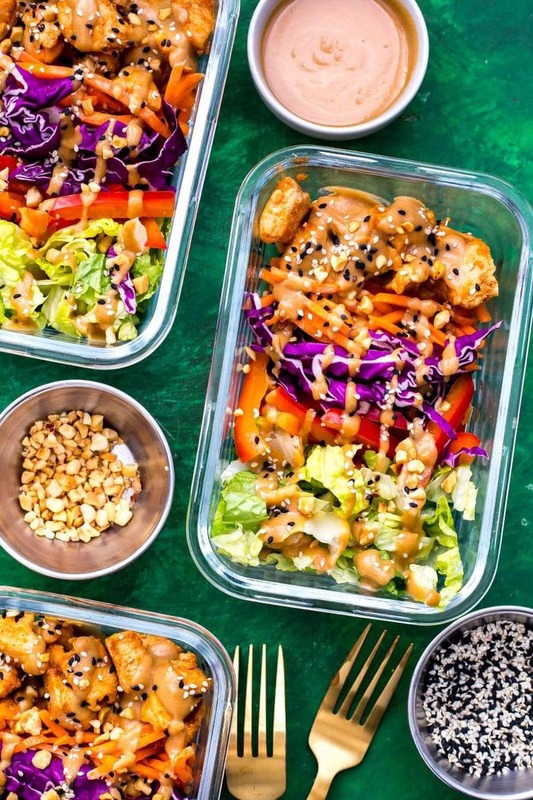 And given my love of all things peanuts and peanut butter, it only made sense to partner with The Peanut Bureau of Canada once again to bring you these delicious Peanut Chicken Meal Prep Bowls! 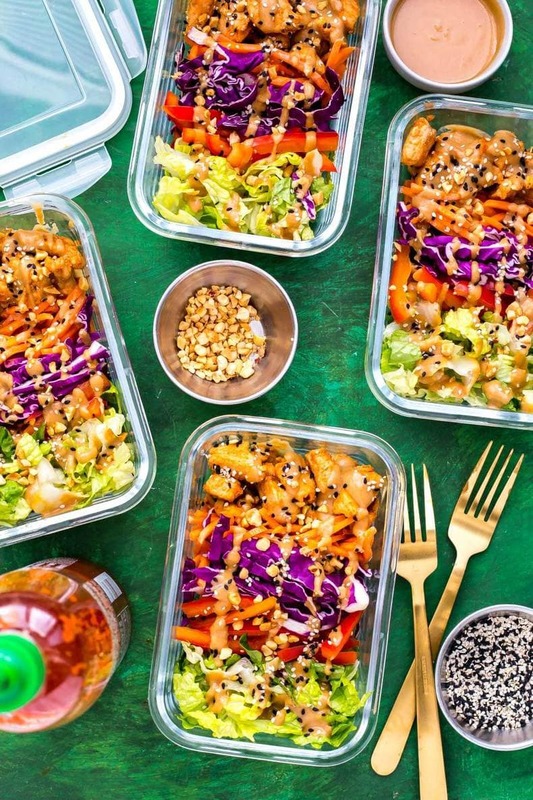 Since we are approaching some (hopefully) warmer spring weather too, I just feel like we need to turn our meal prep bowls into salads now. Gimme ALL the veggies and the hot weather to go with it! 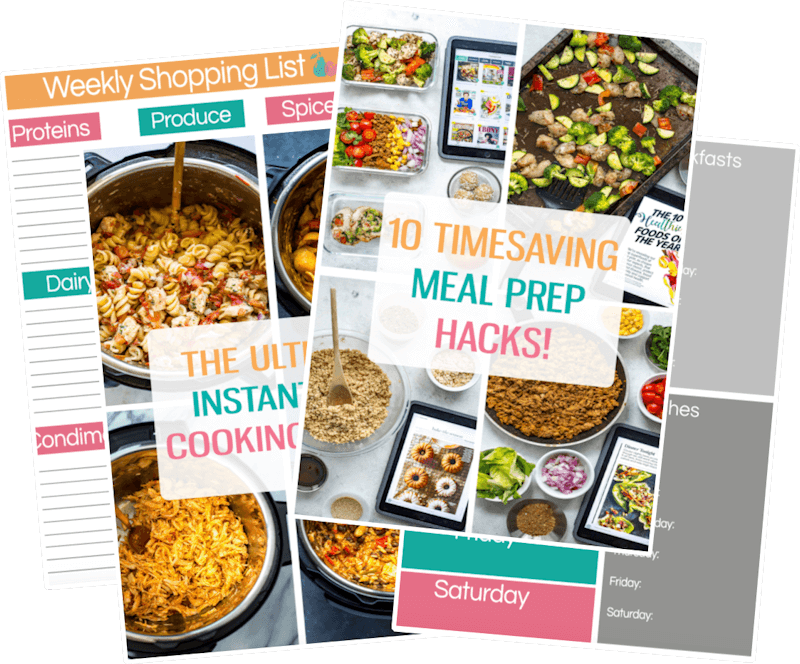 You should have everything on hand already in your pantry, so putting these bowls together will be super easy. I'm talking peanut butter, soy sauce, lime juice, dried ginger, honey and water. THAT'S IT for the dressing. You're about to use this peanut sauce on everythaaaaaannng. 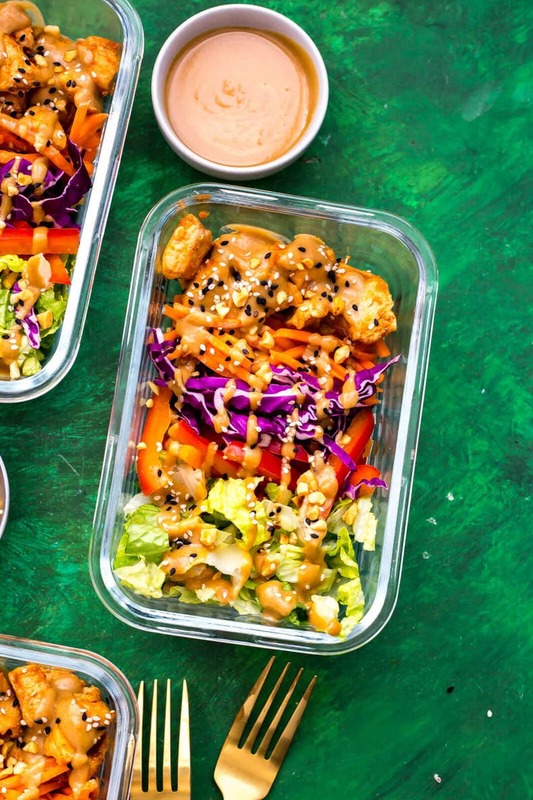 Normally I use peanut sauce as a dipping sauce for chicken satay (I've got these bomb Chicken Satay Lettuce Wraps that would be perfect), but you can use it in other salads, meal prep bowls and even other appetizers if you'd like. The sauce will last in the fridge up to a month so you can make lots of it and just bring it out to use again whenever you get a craving! The chicken is also cooked super simply with just soy sauce and sriracha so no fancy marinades but you're still getting a TON of flavour! Dice up raw chicken breasts, cook with a bit of olive oil or sesame oil, add soy sauce and sriracha (you could also try hoisin sauce or another pre-made stir fry sauce if you've got it in the fridge) and it all should be done in less than 10 minutes. Honestly that's my go-to method of making lunch or dinner when I'm in a bind: just cut up chicken breasts into small pieces and while it's cooking, throw together some veggies and toss with a delish sauce. 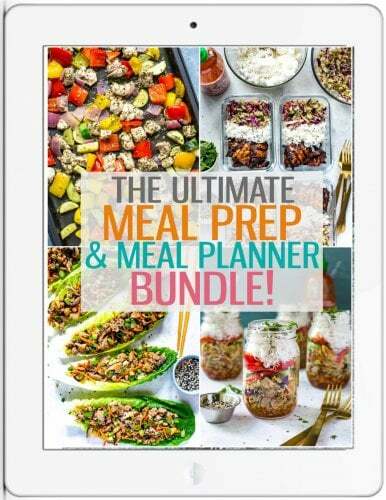 These Peanut Chicken Meal Prep Bowls are basically a version of that! Especially if you've made the peanut sauce ahead of time and have it sitting in the fridge. And you can feel good about having a healthy lunch on hand because peanuts are packed with protein and have more than any other nut (9g per serving in fact! ), and most of the fat in peanuts is healthy, unsaturated fat to boot. Peanuts are also a good source of fibre, so paired with the chicken and veggies you're really getting a naturally delicious and well-rounded meal. You don't have to convince me twice! And as usual, if you need to sub in any other veggies for the veggies included in these meal prep bowls, feel free to go on ahead. Most substitutes work so don't be afraid to cheat and sub in a bag of coleslaw or broccoli slaw for the lettuce if you don't feel like doing any chopping. The matchstick carrots come pre-chopped so from there it's just a matter of adding in another extra veggies or two and then you're set! You can also add rice, quinoa or pasta if you'd like some extra carbs as well, but I honestly find the peanut-chicken combo filling enough – tons of protein! You could even do a vegetarian option of these bowls too if you do decide to add some quinoa or brown rice. That's the beauty of peanuts: they're a super cost-effective way to include protein in your diet and the saltiness usually satisfies any cravings for savoury foods. And no, they aren't high in sodium either! Salted, oil-roasted peanuts actually contain less sodium than something like a slice of bread or a bagel, so go and get your snack on even if you don't end up making these meal prep bowls! 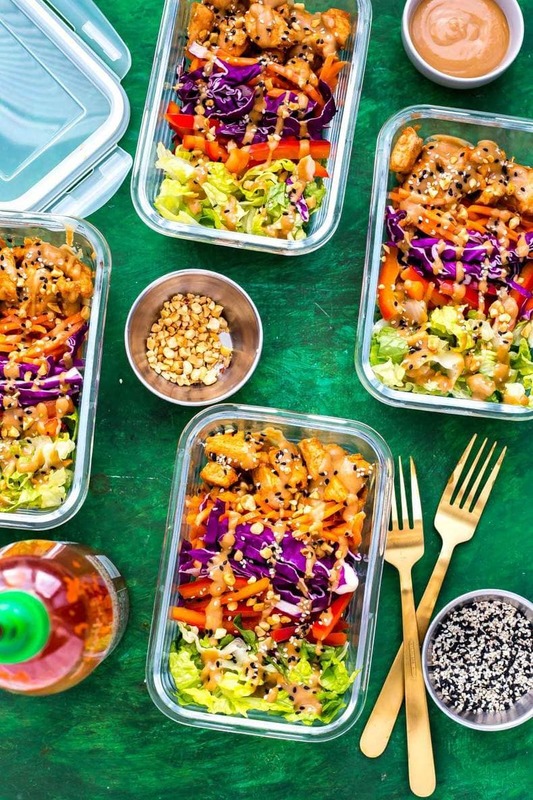 Will you be making these Peanut Chicken Meal Prep Bowls? I think I'm going to find more excuses to put this peanut sauce on everything, it's just SO GOOD! Preheat olive oil over med-high heat. Add chicken and saute for 7-8 minutes until browned. Add soy sauce and sriracha and cook another 3-4 minutes until chicken is fulled cooked. Meanwhile, mix ingredients for peanut sauce together with a whisk, saving water for the end. Add water bit by bit, whisking as you go to combine. 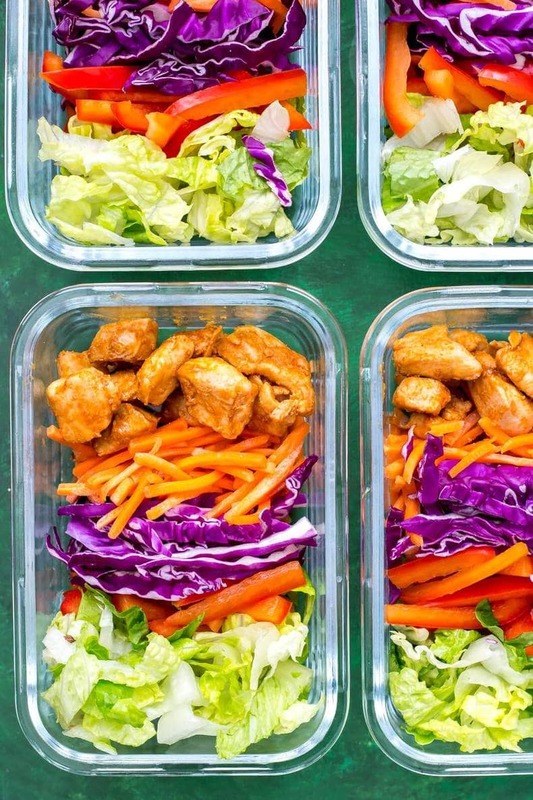 Prepare veggies and divide them among 4 meal prep bowls. Remove chicken from heat and add to bowls. Top with peanuts, sesame seeds and peanut dressing. Bowls will keep in fridge up to 5 days. Eating one of these thai peanut chicken bowls right now. It’s excellent. That peanut dressing is amazing! When you say dried ginger, do you mean ginger powder or chopped dried ginger? What kind of peanut butter do you use?? Natural? in the recipe how it asks dried ginger, would regular ginger work (grated)? Hey Ivana, of course! I would sub in about 1-2 tsp fresh ginger! Sorry about the stupid question but what is siracha? Is it a sauce or a powder that you use? It’s hot sauce 🙂 Like a chili garlic Asian-style hot sauce you can find in the section of the grocery store where the soy sauce is kept! So simple and delicious. Thanks!